A higher life expectancy can depend on several different factors. There are ones such as genes, lifestyle, and diet that can all contribute to how long you live. But there are also some interesting factors worth noting that can affect life expectancy. Here are some of them. If you are divorced or separated from your significant other, then you are at a greater risk of having a shorter life expectancy. A study was made between married groups and divorced folks that showed the latter having a 46 percent greater risk of dying. One likely reason is that those who belong in the divorced group tend to engage more often in risky activities such as smoking, drinking, and a sedentary lifestyle. Where you are located can also be a factor in how long you’ll live. Many cities are now cramped, polluted, and stressful. Having to live with this can have a drastic impact on your health. That is why certain geographical areas tend to have low life expectancies due to these factors. It might come as a surprise to some people but your level of education can also affect your mortality. Research shows that the higher the level of education you get, the longer you will live. The higher level of education you have, the better quality of life you’ll experience. It can also mean you make more money and afford more nutritious food. It can also lead to more time to spend in leisure and relaxation. Genes also play a significant role to a person’s life expectancy. 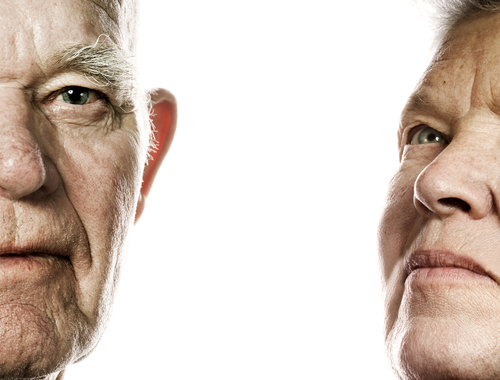 According to experts, your genes have a 25 percent influence on longevity. If your parents as well as your grandparents passed away early in life, then you would likely be experiencing the same thing too. But not to worry, you still have the other 75 percent of the factors that you can address in order to live longer. While you may not be able to change your genetic makeup in terms of life expectancy in your family line, living a healthy lifestyle and taking a more serious look into your overall wellbeing can do a lot in order to improve your chances of living longer.